I got both of my tattoos done at Epicenter Studios in Huntington WV by Justin Runyon. 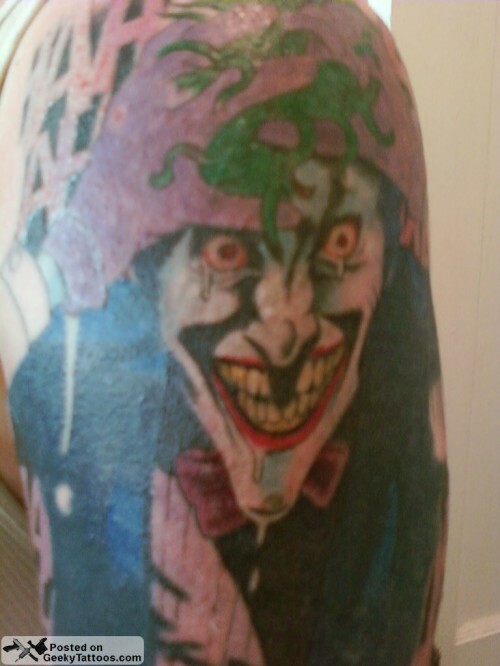 I got the joker tattoo because I have been a huge Batman fan and Joker fan for a long time and this is my favorite frame from the best comic ever “The Killing Joke” by Alan Moore. 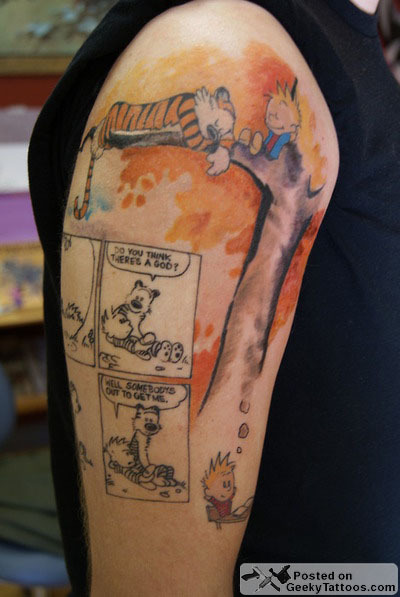 Calvin and Hobbes has always been a part of my life, it was always my favorite newspaper comic. I told myself that I would never get another tattoo unless it makes me smile every time I see it. I incorporated my favorite comic and favorite painted picture by Bill Watterson. I think that Justin Runyon did a fantastic job on both tattoos and deserves the recognition. Tagged with Calvin and Hobbes, Epicenter Studios, Joker, Justin Runyon.